ew Hollywood bike stunts are as memorable as the Harley-Davidson Fat Boy jump in 1991’s Terminator 2: Judgement Day. The bike not only drops 30 feet off an LA overpass into a dry waterway but also somehow survives. With a budget of $51m for stunts and effects alone there was no shortage of resource, but that doesn’t mean it was easy. MCN finds out just how hard it can be to capture such an impressive shot. 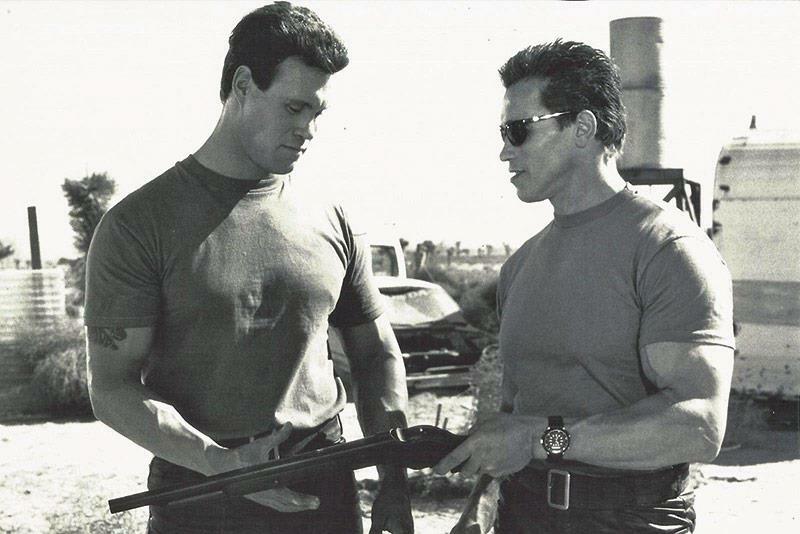 Arnold Schwarzenegger’s main movie stuntman. Inducted into the Hollywood Stuntmen’s Hall of Fame in 2009. Tech blogger, motorcyclist and a lifelong fan of the Terminator franchise. Terminator Arnie on an electric bike?